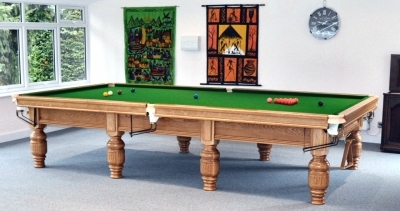 Home › Snooker Tables › Snooker Table – Made in England. 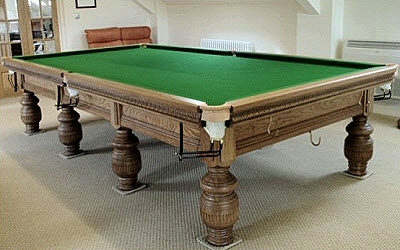 Snooker Table – Made in England. This table uses Italian slate, which is the best in the world. Most other tables use less quality slate, which is not cut with the same precision. This table is made of mahogany wood, which is one of the best woods out there. Most other woods when going to a new climate will warp over time, which will affect the overall playability, and look of the table. This table uses Italian slate, which is the best in the world. Most other tables use less quality slate , which is not cut with the same precision.